UK company, On-Systems, launches revolutionary disruptive technology; delivers new technology platform for harsh-environment PSUs. 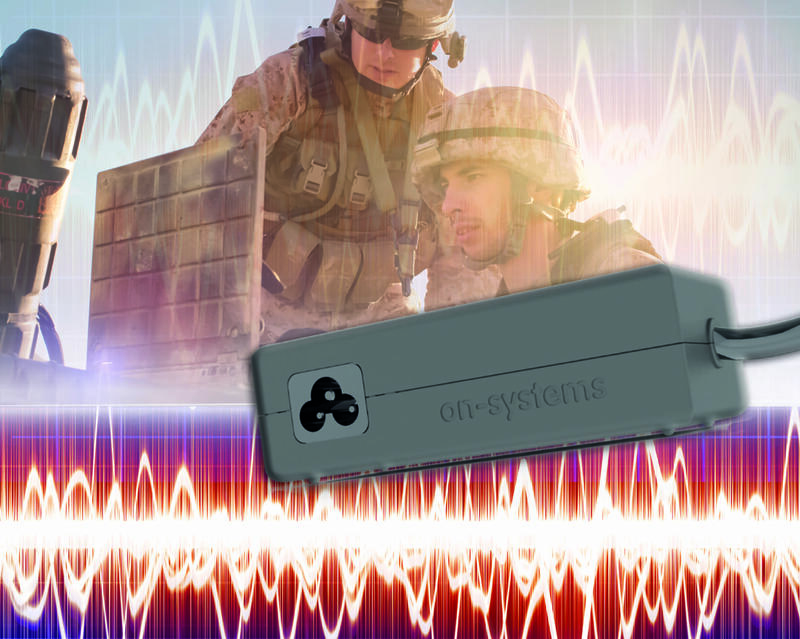 On-Systems, a young British company that specializes in innovative power supply design for harsh environments, today launched Pebble, a new COTS, rugged, EMI-silent laptop power supply for defence, avionics and mobile applications that is a fraction of the size, weight and cost of current designs. Pebble is the first in a series of harsh-environment PSUs from the company which combine a new topology, custom-designed FET drivers and fast switching speed to deliver industry-changing benefits. On-Systems’ new topology combines three stages into one, reducing I²R losses and increasing efficiency. On-Systems has worked with a leading power semiconductor company to design new very fast FET drivers, allowing the Pebble to switch at up to 40 times typical switching frequencies. This high speed reduces the size of the EMC filtering components required, such that the laptop PSU meets all defence EMC performance standards, including MIL-STD 1275A-E, MIL-STD 704A-F, DEF-STAN 59-411 and MIL-STD 461 E-F EMC, in a package measuring just 115 x 52 x 36mm and weighing only 180g. Pebble is 96% efficient, operates over universal AC input range and wide DC input range, features short circuit, overload and overvoltage protection, and carries a four year warranty.